In the production of pulp and paper, water is an important ingredient. During the process, water should be purified. 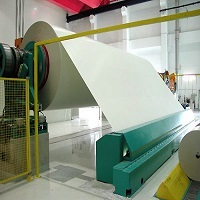 Different sorts of paper are used, depending on the quality of pulp. It is necessary to wash the pulp with a lot of water or washing with a low amount of water and adding sodium silicates, fatty acids or non ion detergents to properly process it. The waste water of paper recycling includes particles that need filtration and remains of plastics, metal parts and other waste that has to be removed.